Lauren Bacall was an American actress known for her distinctive voice and sultry looks. She was named the 20th greatest female star of classic Hollywood cinema by the American Film Institute, and received an Academy Honorary Award from the Academy of Motion Picture Arts and Sciences in 2009, "in recognition of her central place in the Golden Age of motion pictures". 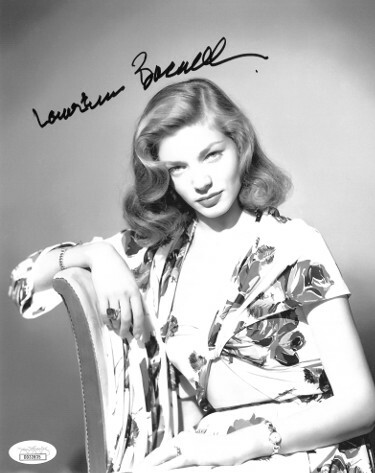 Lauren Bacall has hand signed this 8x10 Photo. JSA Hologram #DD32835 and Certificate of Authenticity.